On 02.07.2018 Bhogin R. Kellenberger visited the nature school again. It was the first day of school after the “heat holidays”. It was between 42° and 46° hot in the weeks before, unbearable to have lessons with the children. Now after the holidays, on the first day of school, the first trees were planted after the violent forest fire in May 2018. At the same time the teachers of the nature school had a heartfelt project and a big surprise ready for the children. 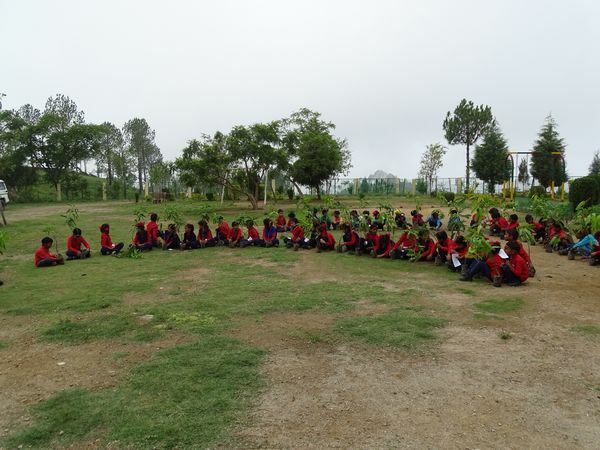 To bring the children even closer to nature and to enable the families of the children to have a rich mango harvest in the future, the teachers had the idea of giving every child a mango tree on the first day of school. Thus the teaching of the nature school goes right into the families. 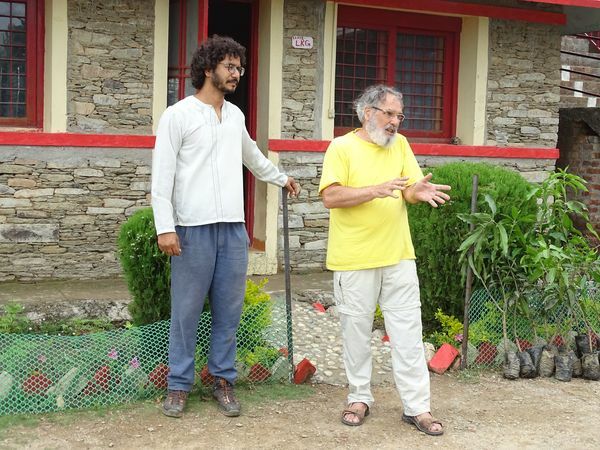 The mango trees were sponsored by a friend of the school, who found this idea ingenious, but likes to remain unnamed. Bhogin R. Kellenberger told interesting things about the trees and what valuable friends they are for humans. 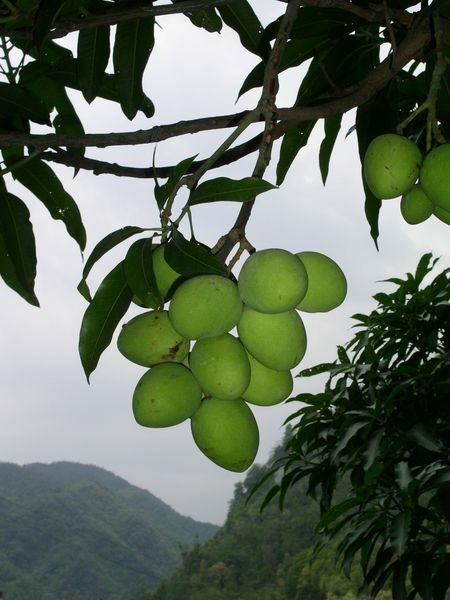 Afterwards, he gave each child a mango tree. 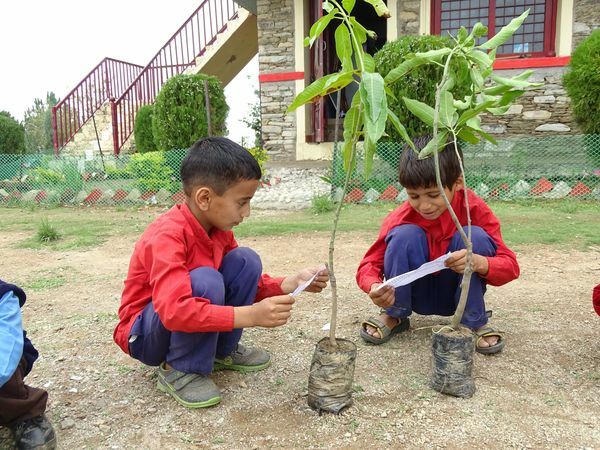 Each child received a written explanation of how the tree is to be planted and what care it needs. 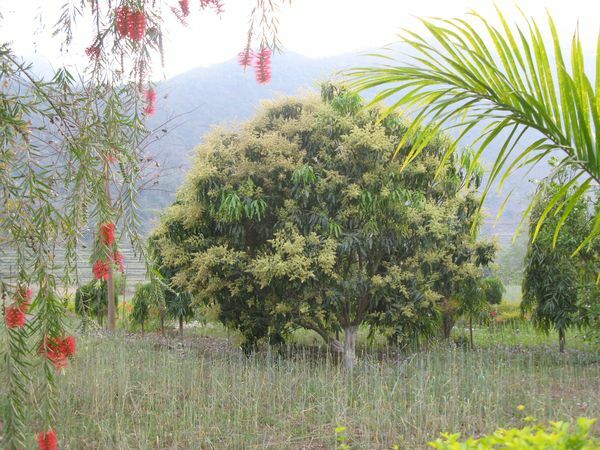 India cannot be imagined without mango trees. They can become stately trees. Its scent during the flowering period in March is unsurpassed and beguiling in the surrounding area. 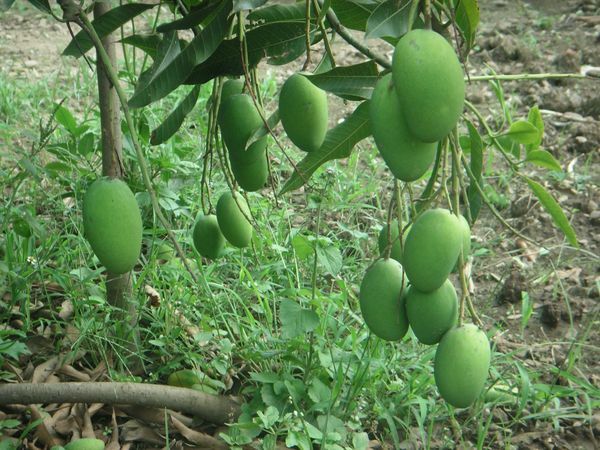 The flavours of the fruits and the colours of the pulp are as varied as the huge variety of mango varieties. From peppery-hot to fruity-sweet they tickle the palate and the colours of the fruit from soft yellow to sun-yellow to red-orange delight the eye. A vital and lively diet par exelence. 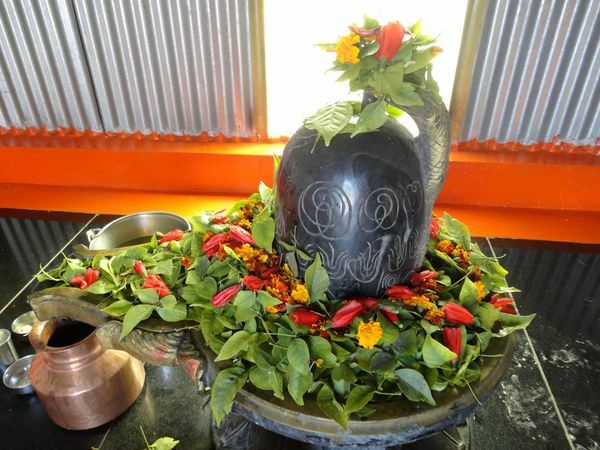 It is also called the fruit of Shiva, as it has the form of a SHIVA stone lingam. Every day the Hindus pray to God and Goddess in a solemn puja action, which can work on earth through these lingam stones. Worship always honors God and Goddess in everything. 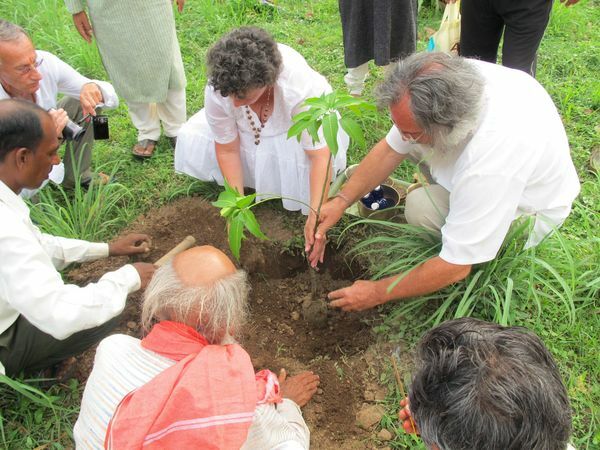 In July 2012, Bhogin R. Kellenberger and Susanne Ganns planted the first tree in India, heralding a major tree planting campaign, which was initiated by Renate Ströbel from Heiligenberg. Many friends have joined this tree planting campaign, which then spread over wide areas of Europe as far as Australia. This first tree is a mango tree and was planted near the Gangeshvaralinga Peace Centre, which is currently under construction. 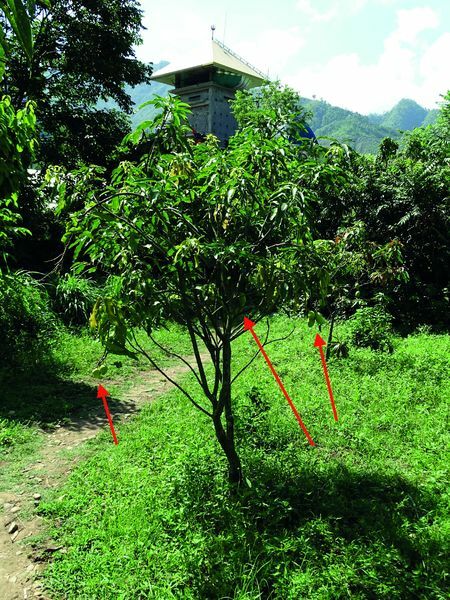 6 years later – now in July 2018 – this mango tree bears fruit for the first time. Every full moon, Susanne and Bhogin light a fire in honour of all trees, especially the old trees, at their place of life in Kisslegg in the Allgäu. And the succession of the trees planted over the years is always considered and honoured with a sacred act. This can create a large unimagined force field among trees and people. 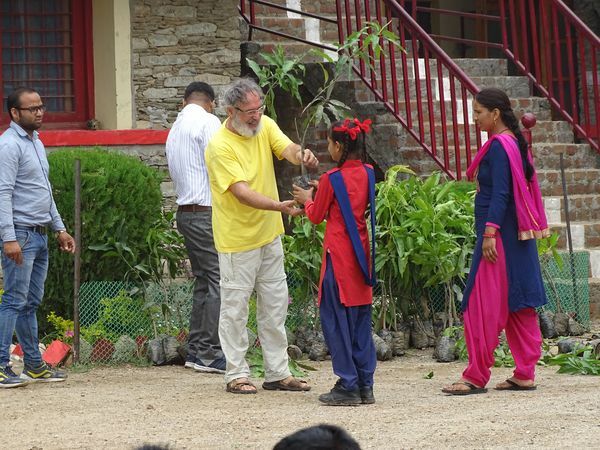 Thus the teaching of the nature school and Integral Learning reaches far beyond the school and shows that with every action (even the gift of a mango tree) in a person’s life always the divine-feminine-male primal principle should be the essential, from which everything starts and flows back again.